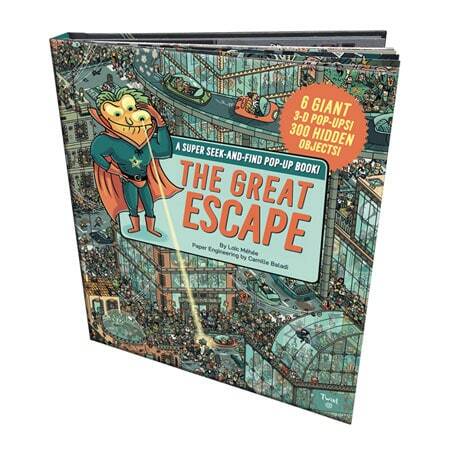 The Great Escape: A Super Seek-and-Find Pop-Up Book! 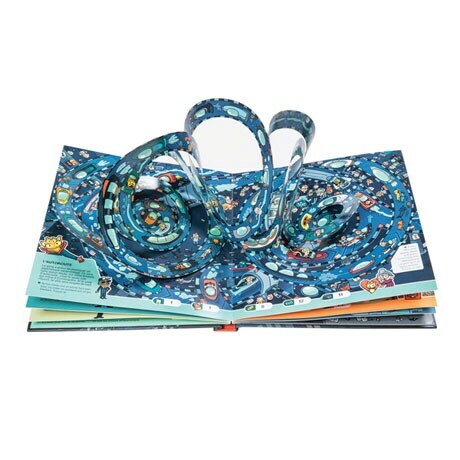 With eye-popping 3D paper structures on every page, The Great Escapee levates the challenge of seek-and-find books to a whole new level! Tons of fun for kids and adults alike, the book challenges readers to help Irix, a superhero with super-vision, track down Jack Attax and the rest of his X-Unit gang before they take control of the city of Criminopolis. Also hidden among the pages are gold bars, dollar bills, bombs, and other items that need to be located in order to defeat the criminals. Scour the expressway, Old Town, the prison, and more for the miscreants and the evidence needed to put them away for good! Don't worry, though…if you get stuck, the locations of the most important elements are in the back of the book. Ages 3 and up.